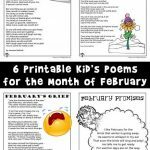 Here’s another brand new set of printable poems for kids! 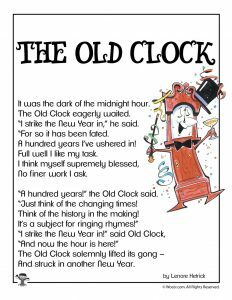 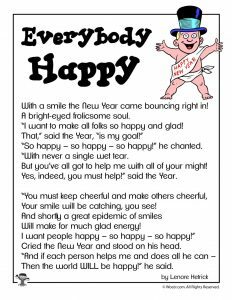 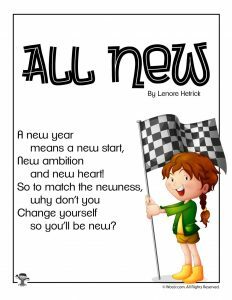 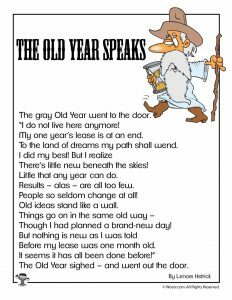 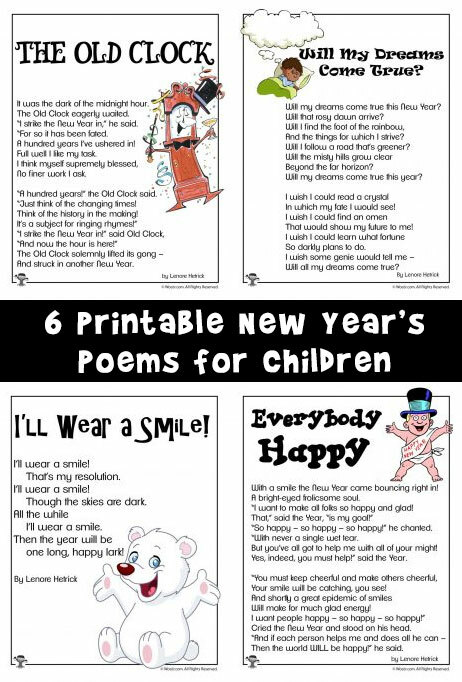 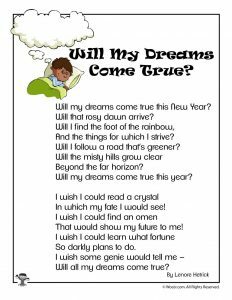 This set of 6 New Year’s poems for kids are perfect for New Year’s Eve and Day. 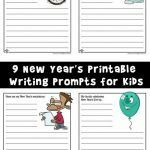 They also work well as end of year reading, or to inspire your kids to think about New Year’s resolutions! 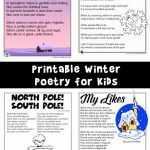 Some poems are easy and super short, which will be great for beginner readers. 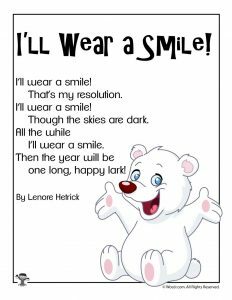 Others are longer and suitable for older kids, or for storytime reading to younger children. 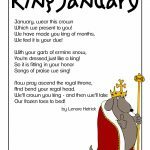 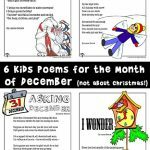 Be sure to also check out our January Kids Poems and our printable Christmas poems for kids!